I recently went to my first baby shower after having Lincoln. When I was trying to think about the most important things that I’ve used in this first year, I realized that maybe the mom-to-be might need a little something too. Of course a baby shower is supposed to be all about the baby, but in order to have a happy baby it’s important to have a happy mom. 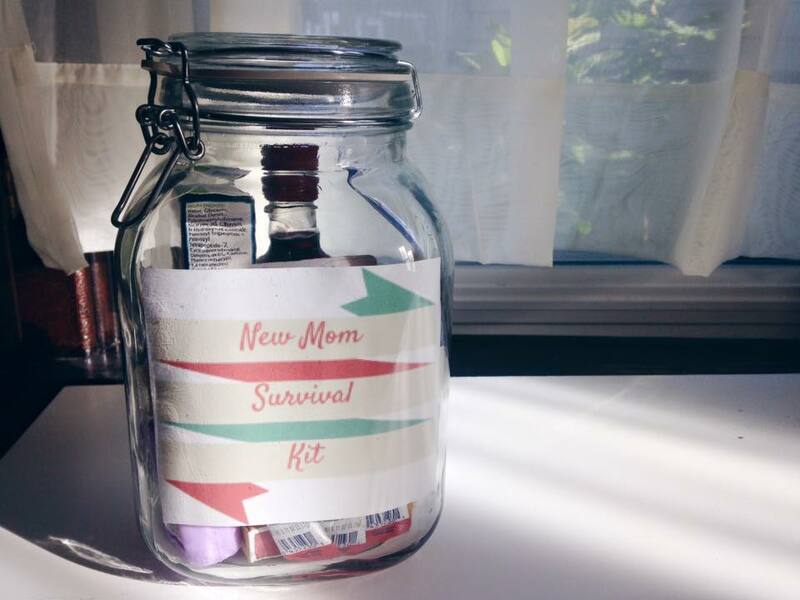 Hence, the “New Mom Survival Kit” that I created. The kit includes: A small bottle of red wine, Crystal light energy drink mixes, Advil, tide to-go stick, under eye cream, hand sanitizer, hair ties, and Chapstick. Of course I got a little something for baby too! 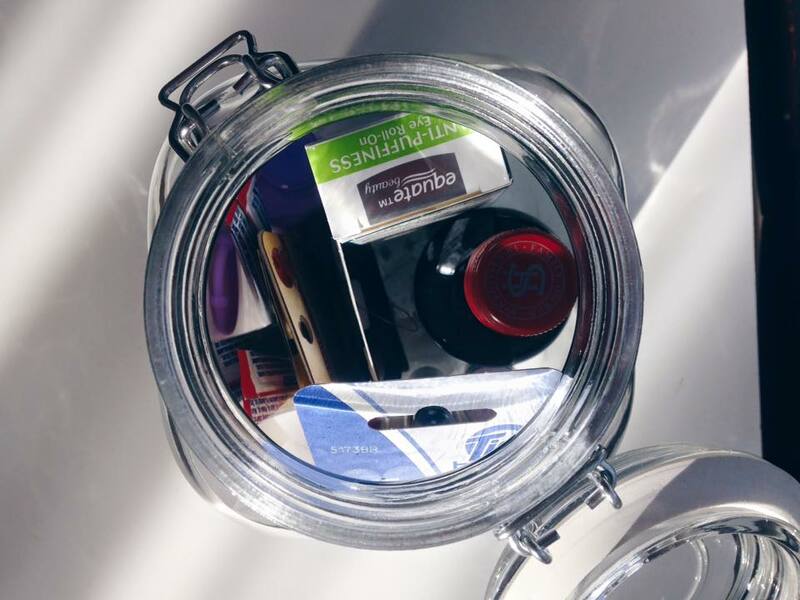 What would you put in a New Mom Survival Kit? Last week Lincoln and I decided to try out some finger paints. 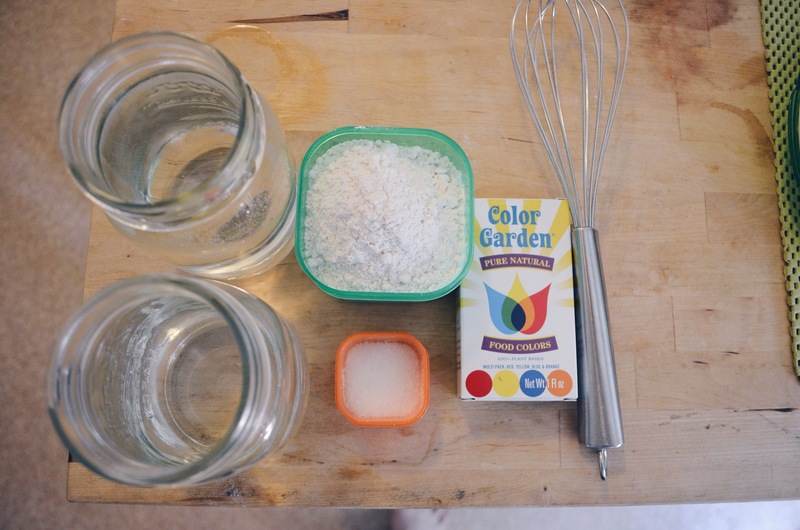 I searched online for some recipes for baby safe paints that I could make and I found a pretty simple one. First add the 4 and a half cups of water and salt to your pot. Turn the stove to medium heat. Measure out your flour and slowly add it while mixing it in with a whisk to make sure there are no lumps. 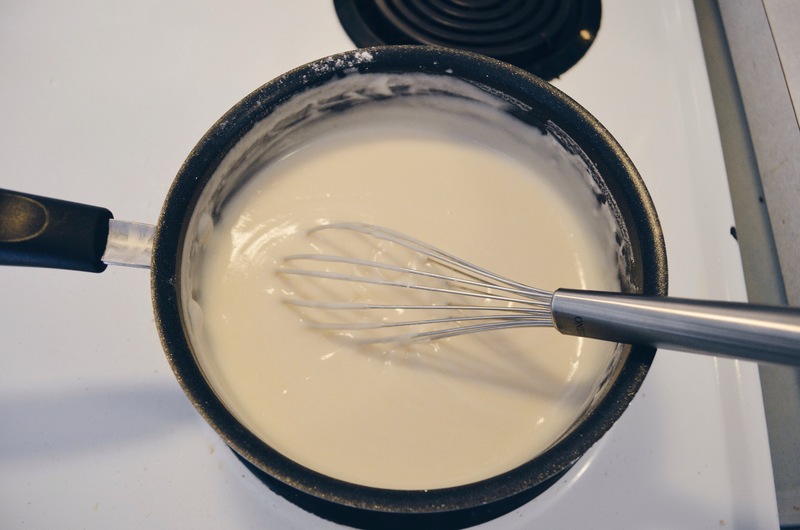 Once you start to feel that the mixture is thickening, turn down the heat to low and continue to stir with the whisk until you get the right consistency for your homemade finger paint. 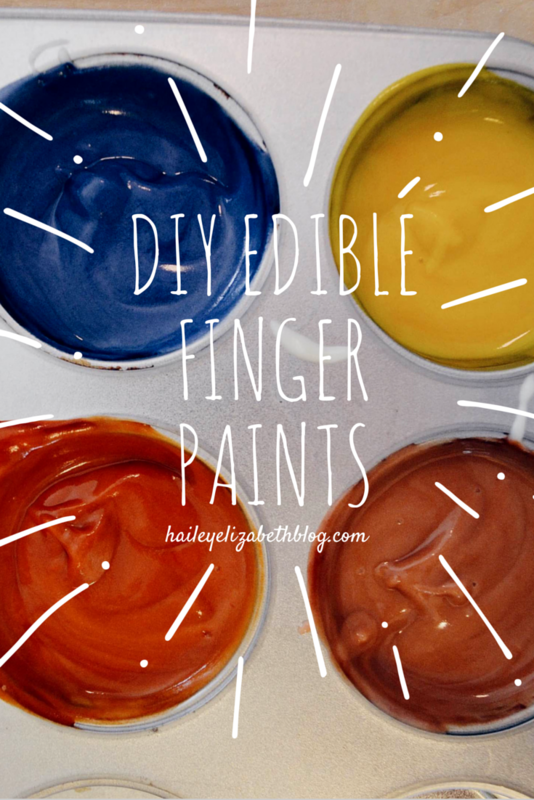 Scoop out a few spoonfuls and add to a muffin tin (or any other small containers) so that you can color the finger paints for use. Add two drops of food coloring and mix well. 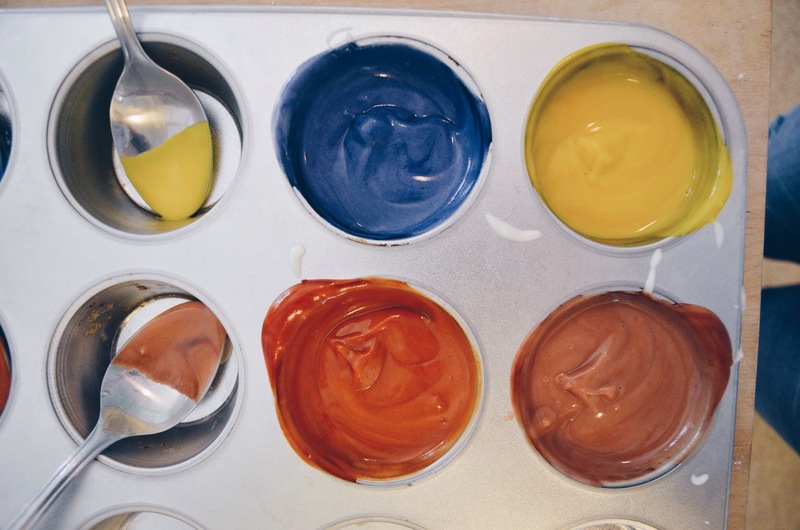 If you want deeper colors you can use a few more drops. Since I didn’t want to make a large mess, I let Lincoln do the finger painting in his highchair. One mistake I had was using printer paper. It was too thin and ending up ripping but I could just say that added to the artistic side of it all. And the last step, let their artistic abilities take over. 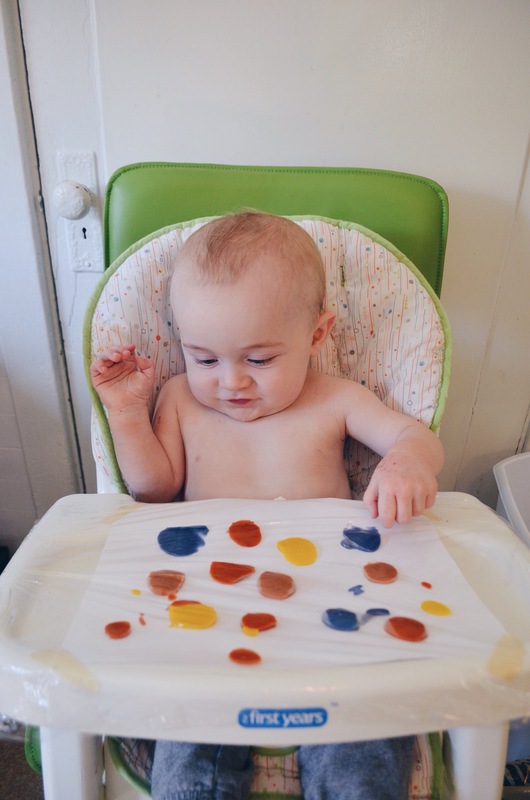 Since Lincoln is only 9 months I let him just use his fingers, but if you are having older children try this out, feel free to give them a paint brush and see what their artistic creation will be!